Wild prairie rose; photo by Ed Rascaille on Flickr (all rights reserved; used by permission). 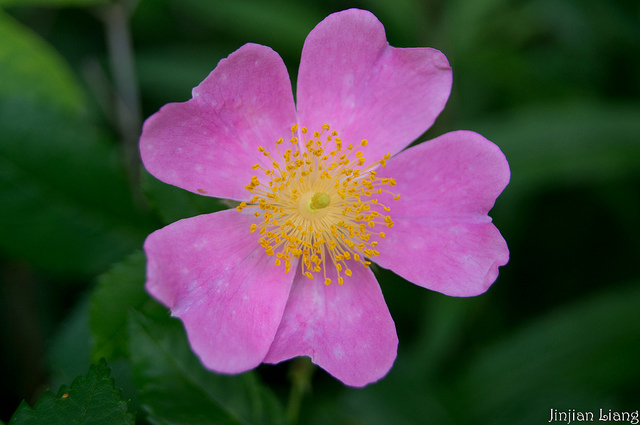 Wild roses bloom from June through late summer throughout Iowa - the petals come in varying shades of pink, with yellow stamens at the flower's center. The rose is our national flower and the state flower of New York, the Cherokee rose is the state flower of Georgia, and the wild prairie rose is also the state flower of North Dakota. 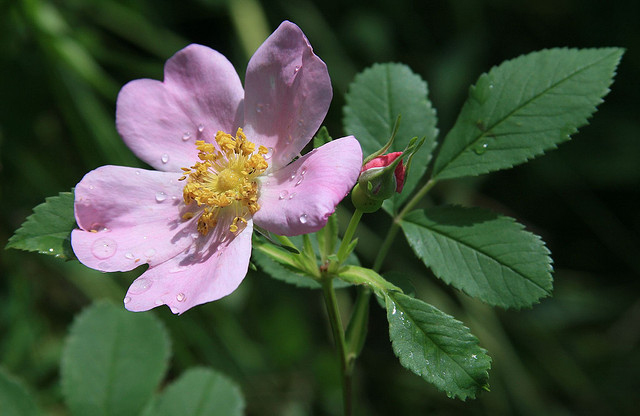 Wild prairie rose; photo by jinjian liang on Flickr (noncommercial use permitted with attribution / no derivative works).